If you own or operate a Business to Business Company, you should be acquiring DUNS Numbers from your clients whenever possible. Did you know that Over 95% of Businesses have Outdated or Incorrect Client Data on file? In fact, about 25% of your customer data is going to be incorrect by the end of the year. Do you really want to lose up to 25% of your client data? While you can update your client data easily with a data append, the Best Data Companies, which match anywhere from 85-99% of records submitted, depend on the quality of certain data fields in order to accurately append to a customer file. That’s why it’s important to collect company DUNS numbers. 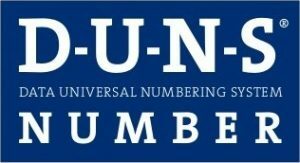 The D&B D-U-N-S® Number is a Unique Nine-Digit Identifier for businesses. It is widely used by commercial and federal entities, was adopted as the standard business identifier for federal electronic commerce in 1994 and incorporated into the Federal Acquisition Regulation (FAR) in 1998. More importantly, it is the most consistent and unchanging data point in a customer’s file. With an accurate DUNS number on all of your records, NAICS Association can Successfully Append Nearly 100% of your Customer Files. By acquiring the proper DUNS Number for your clients, you are ensuring that you’ll be able to maintain an accurate view of those clients throughout the years, regardless of whether they change addresses, DBAs or phone numbers. A DUNS Number unlocks a multitude of actionable and valuable data elements. With it, not only can you keep tabs on the proper contact information for your clients, but you can append Website URLs, E-Mail Contacts, NAICS & SIC Codes, Company Size Information and much more.